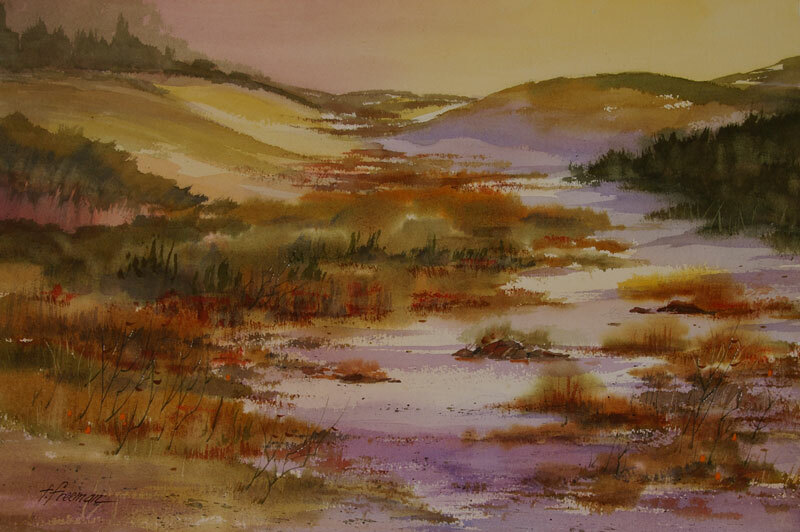 Thomas Freeman Original Watercolor Painting: "Dunescape"
Dunes are quite unique - a world defined by sand. The vegetation is distinctive as well, a variety of specialized plants that can thrive in sand. "Dunescape", therefore, for this painting featuring the dunes. Here I'm depicting the late-day lighting, which has some wonderful shadows.